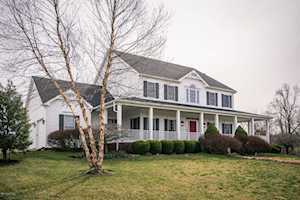 Located off of North I-71, L’Esprit is a horse lovers dream. 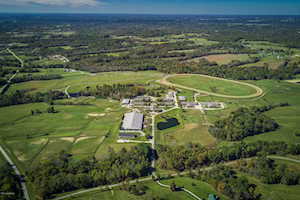 Development of this 5,000-acre equestrian neighborhood began in the 1980s and continued on until the mid-2000s. Initially, this neighborhood was developed as a community for Arabian horses. More recently, this neighborhood has grown into a home for various breeds of horses. The price range for this neighborhood ranges from $300,000-$3,000,000. Homes in Lesprit are typically anywhere between 2,000-13,000 square feet. If you are looking for tons of privacy, L’Esprit definitely has it. 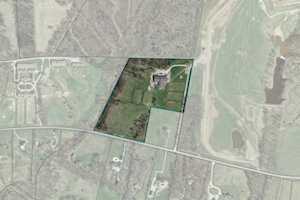 The acreage for homes in this neighborhood can range anywhere from one acre to two hundred acres. 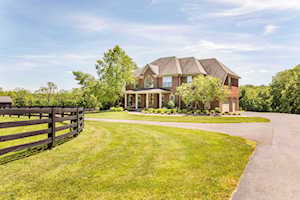 In addition to the several acres each home has, there is also private horse riding trails in the subdivision. L’Esprit does have an active L'Esprit Home Owners Association. The Hollinden Team updates this search for Lesprit homes on a daily basis from the Louisville MLS. Click the map to the left to view each home for sale in L'Esprit. There is a satellite view button in upper right. Although L’Esprit may seem very secluded, it actually is not too far away from shopping and restaurants. If you need to go grocery shopping, Walmart and Kroger both are only four miles away. If you want to go to an actual shopping center, The Paddock is approximately 17 miles away. Downtown La Grange offers great shopping and is a closer option (only three miles away) than The Paddock. Downtown LaGrange offers a wide array of stores such as consignment stores, craft stores, art galleries, bridal shops, antique stores, and flea markets. If you are hungry and want to try local restaurants in the area, here are a few worth trying: One Nineteen West Main Street, Chen Garden, Steveos Italian Kitchen, and Big Rs & Shannons BBQ. If you enjoy golfing, you will be happy to know that there are several golf courses close by Lesprit. Oldham County Country Club is around seven miles from the subdivision. 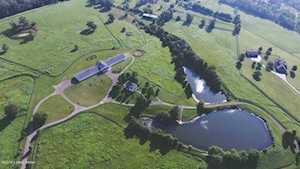 This 18-hole golf course is semi-private and offers a swimming pool and a clubhouse. Another golf course option is Eagle Creek Golf Course. Eagle Creek is one of the closest golf courses to L’esprit, around two miles away. Eagle Creek is a public 18-hole golf course that is open seven days a week. Other golf courses near Lesprit that you may want to check out are Sleepy Hollow, Nevel Meade, and GlenOaks Country Club. If you live in this neighborhood, your child’s home elementary school will be Buckner Elementary. Oldham County Middle and Oldham County High School are the home middle and high school. If you would like to learn more or have any questions about any of these L'Esprit houses for sale, or others in the zip code 40031, just click the "Request More Information" button on any property detail page. The REALTORS at the Hollinden Team can provide you with past sale information, comparables, disclosures, PVA assessment, and tax information – we would love to answer any real estate questions you have.